It's hard to know exactly where the NBA would be today without the onslaught of game-changing superstars that shaped one of the country's most dynamic sports. Michael Jordan, Magic Johnson, and Larry Bird defined the era of the game we have come to know and love, but they too were influenced by their predecessors. With last year's NBA 2K11, players experienced the thrill of lacing up a pair of Jordan's Nikes, and this year's game looks to up the experience even further. 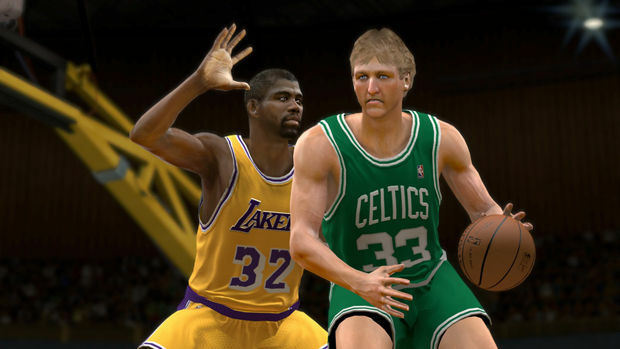 NBA 2K12 isn't solely focused on basketball’s past or present; instead, it looks fondly upon the entire history of the NBA, and really, what better way to celebrate the sport than with 15 of the most dominant athletes to ever pick up the old round ball? The game's "NBA's Greatest" mode brings the nostalgic b-ball feeling, from camera angles and overlays to those oh-so-styling short shorts of yesteryear, but really, that's only the tip of the iceberg. When it comes to 2K12's attention to authenticity, I really can't think of any game that has scrutinized every last detail in its subject matter as thoroughly as this year's sim. While I could rehash what Steven said in his preview back in July about all the great new dynamics 2K12 has added to this season's game, I'm instead going to focus more on all the time 2K Sports put into giving fans a sort of history lesson. 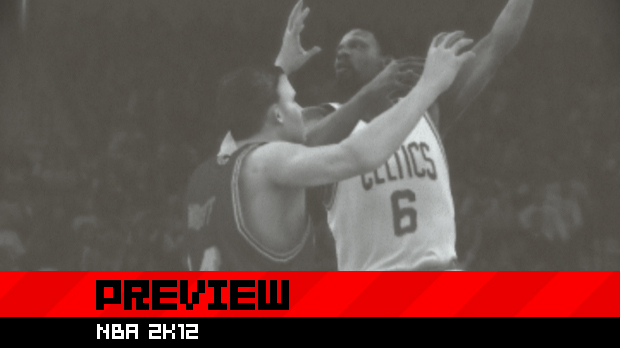 My hands-on with the new NBA's Greatest mode began with one of the league's most decorated players ever, Bill Russell. 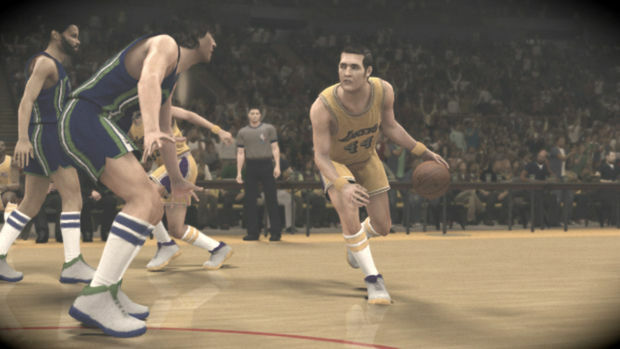 Hitting the court with Russell's 1964-65 Celtics, I was faced with the task of taking on none other than Jerry "The Logo" West's Lakers in what was perhaps the birth of the rivalry between these two fabled franchises. As the contest began, it was hard not to notice the attention to detail that encompasses more than just the feel of the game, but the actual look. The grainy black-and-white presentation and audio filter -- giving the announcers a vintage transistor-radio-sounding effect -- truly captured the essence of what it must have been like to have watched this game live on television. All the attention to detail would have been wasted if the game wasn't an accurate representation of what it was like to play basketball in each respective player's era. In the case of the '64-65 Celtics, this entails jump balls every quarter for possession and the removal of basketball's biggest game-changer, the three-point line. Not having the ability to drop treys all day long really changes the game’s fundamentals. The three-point shot has only been in use since the 1979-80 season, but it's definitely something I've come to rely on for a tactical advantage when I take it to the virtual court. If you want to be successful in these earlier games, mastering 2K12's improved post-up game is important -- close, well-thought-out shots are the key to victory. Switching gears, but oddly enough, not teams -- this is even more strange, considering I'm a Lakers fan -- I jumped into the shoes of another Celtic great, Larry "Legend" Bird. My decision to pick this classic Lakers villain stemmed from the notion that regardless of the pain Bird caused my Lakers in the ’80s, playing as one of the game’s most clutch shooters simply sounded like heaven. Bird's challenge pits his 1985-86 team against the high-flying Atlanta Hawks, complete with Dominique Wilkins, Doc "Current Head Coach of the Celtics" Rivers and all 5'7'' of Spud Webb. In making sure to create the most authentic historical simulation, every classic team's -- of which there are 34 in total -- bench goes at least ten players deep. After battling back to take a one-point lead at the half with Bird and crew, I passed off the sticks to let another give the game a go. 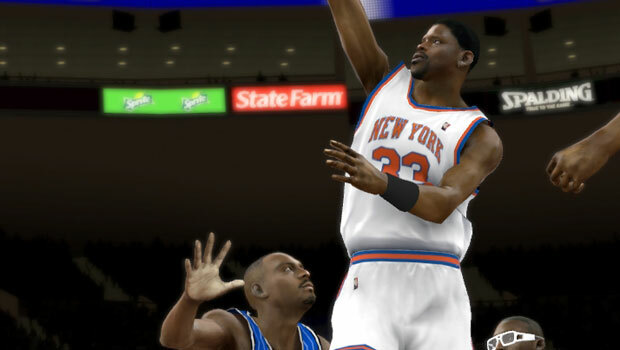 As I observed Patrick Ewing and his '94-95 New York Knicks take on a young Orlando Magic led by baby Shaq, I found myself really getting into the game, occasionally screaming in excitement when an impressive dunk was made. Sitting back and watching 2K12 in all its glory is truly stunning. The game looks and animates so well to the untrained eye, it would be easy to confuse this game with a real broadcast -- especially when you listen to the game’s announcers. 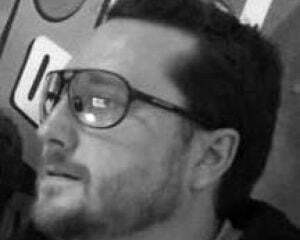 The on-the-fly commentators are perhaps the most impressive to date in a sports sim. Not only do they call the game, but they inject history and stories about the players into their commentary. I think the aspect that blew me away the most was when one of the announcers was discussing Shaq's retirement and was interrupted when Ewing threw down a monster jam. Instead of just moving on, he actually went back to the thought and continued the story seamlessly when the action on the court resumed a more natural pace. Realistic commentary, authentic visuals, and an unparalleled attention to detail make NBA 2K12 one of the most robust sports gaming packages ever. 2K11 literally disintegrated its competition last year, and while this year's game is again running unopposed, 2K Sports didn't stop shy of making perhaps the definitive virtual NBA experience for fans. October 4 can't come soon enough.